Here is another bizarre Pgm unit. It is a factory kit PGM3 unit of Leon Haslam's Nsr500 V2 2001 bike. It features a 7-pin socket on the top side of the unit for ignition advance reprogramming. 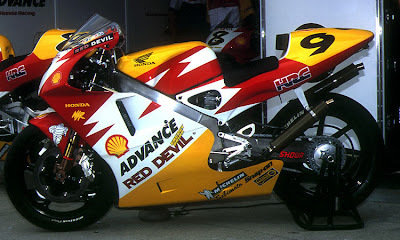 Still missing the rest of the parts to complete the Nsr500 bike though... LOL A piece of HRC history nonetheless!